Discussion in 'Multi-Extrusion' started by mhackney, Dec 9, 2015. I call this technique "Kaleidoscope" and it's something I've been working to perfect for about a year. 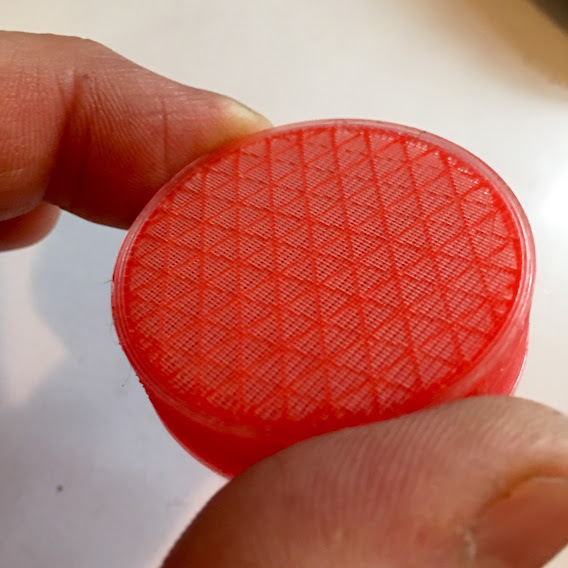 It took a combination of the Cyclops, BondTech QR extruders and some fancy slicing to create a pretty nice sample. 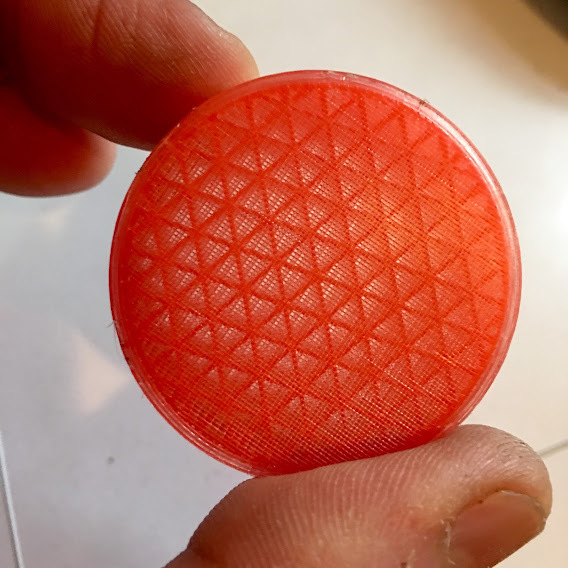 My goal is to perfect this so I can embed printed "images" and patterns to further the e=design elements of my 3D printed fly fishing reel. Where can we find more information about your setup and process? TIA. I publish my work primarily on the SeeMeCNC and Lulzbot forums under "mhackney". I really need to start my own blog for this work to keep it all in one place! This work is done on a Lulzbot Taz 4 printer that I've done some modifications to. Running Repetier firmware on the stock RAMBo control board. I'm using two BondTech QR extruders - they are hot off the press. I am really pleased with them and were the solution to the last weak link in the chain. As for the part, I'm happy to discuss off-line how I slice this. It is a recombination of gcode output from several different sources and not something that is easily explained. hey M do you sell magnets?